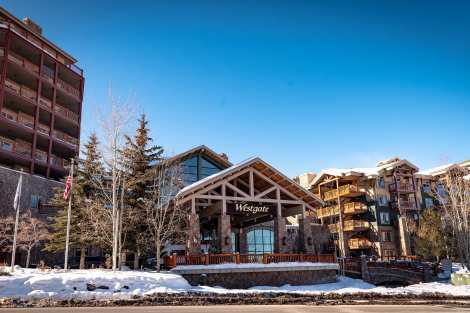 All of Canyons Resort is at your doorstep with a stay at this Westgate condominium. This large one bedroom sleeps up to four guests, the perfect home base for a small family. The gourmet kitchen boasts granite countertops and plenty of space to whip up the perfect après meal. A gas fireplace located in the living area is the ideal spot to curl up and relax at the end of a day filled with Park City adventure. Unwind in the steam shower or take in the spectacular views from your private balcony. Steps away youll enjoy access to Canyons ski lifts where Westgate staff will greet you with your equipment. Enjoy easy access to the Canyons Resort Village as well where guests are treated to dining, shopping and Canyons activities. A short free city shuttle ride away is Main Street in Park City where additional activities await.